Amethyst Ways Fairies is a wonderful shop with many lovely handmade items! Amethyst blesses all the items under a full moon and infuses them with Positive Magick. 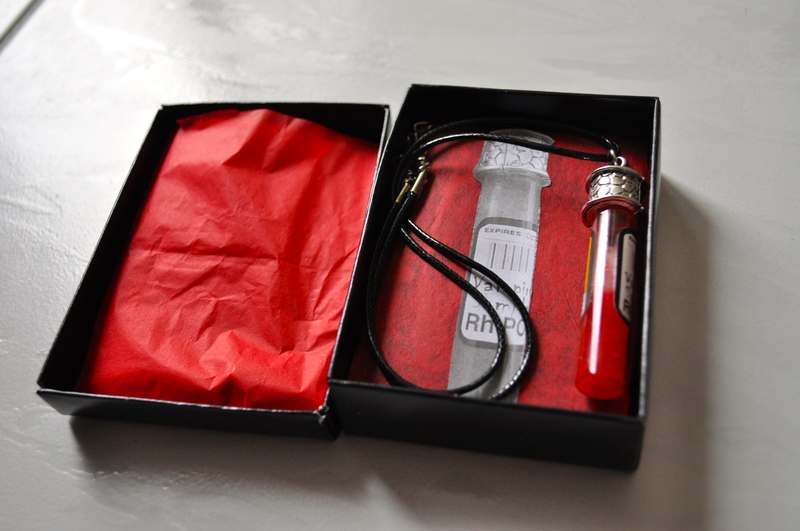 She sent me a cute necklace to review: the Vile of Vampire Blood necklace. If you’re interested in buying something from Amethyst Ways Fairies, be sure to use the coupon code “20Off” for 20% off an order of $5 or more. Inside the mailer, I found a cute wrapped present with a sticker on it that read “UNIQUELY HANDMADE.” The tissue paper was easy to open. 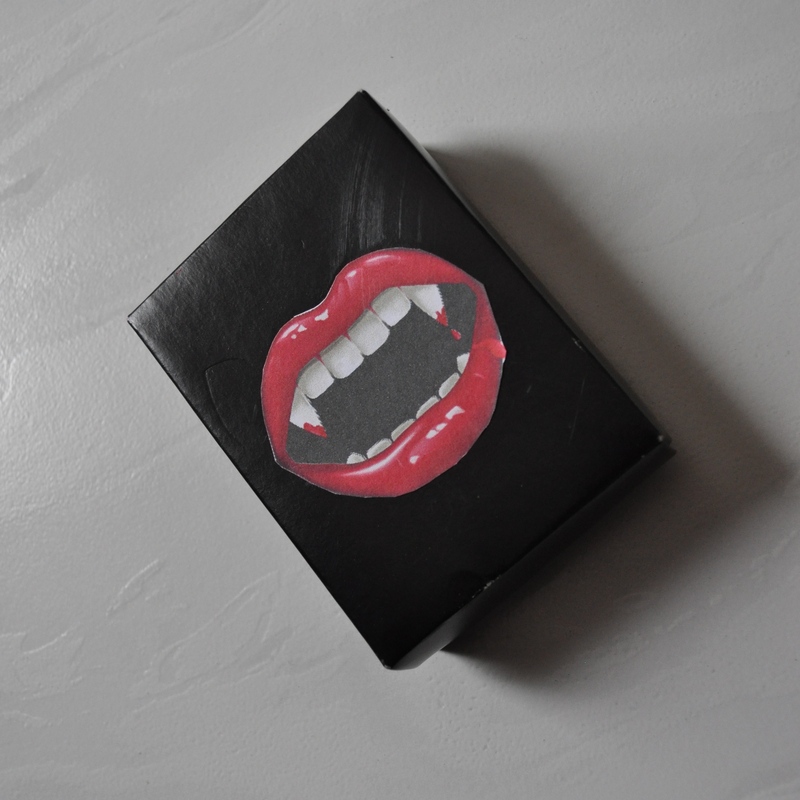 The necklace itself came in an adorable black box with this vampire icon on it! 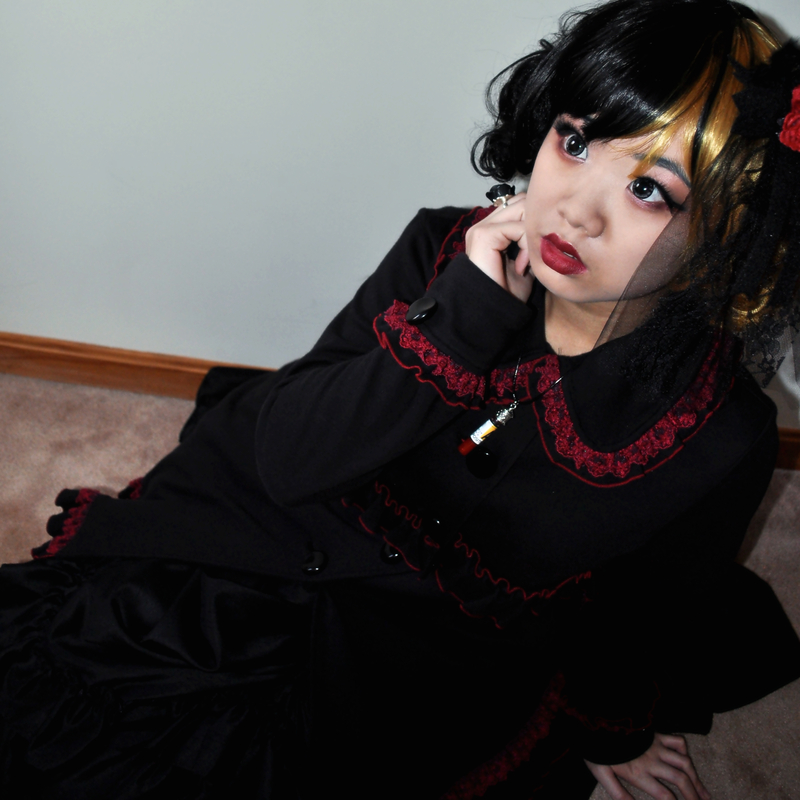 You can tell right away that the item inside is somehow vampire related… Mmm, vampire blood. Nestled inside this tissue-paper-lined box was the necklace! 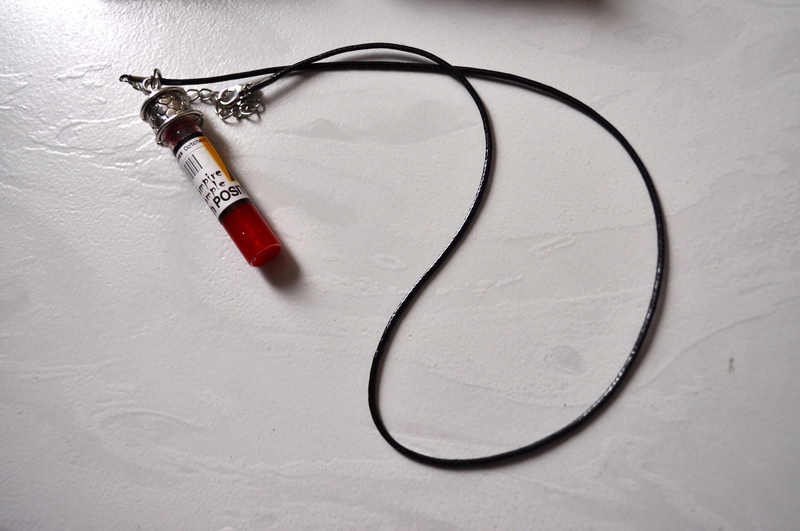 The pendant is a vial of (fake) vampire blood, and it comes with a nice black cord with a clasp. The bottom of the box has an image of a vial. How cute! No complaints here! Shipping was prompt and the product was undamaged. As you can see above, the pendant is very detailed. There’s even a sticker on the surface with a bar code and text noting that the blood sample is A positive. 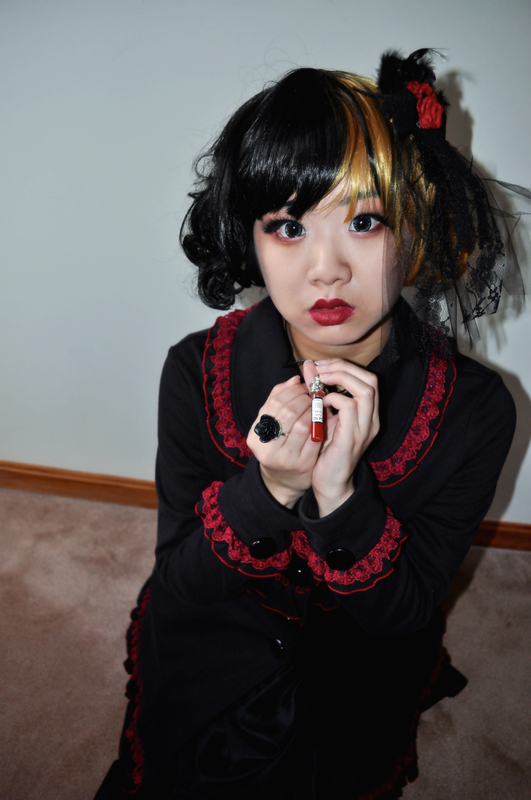 The vial is filled with red liquid (and glitter!). I really love Amethyst Ways Fairies‘s work. “Welcome to Amethyst Way Fairies, where everything is magical and just about everything has Fairy Dust on it. 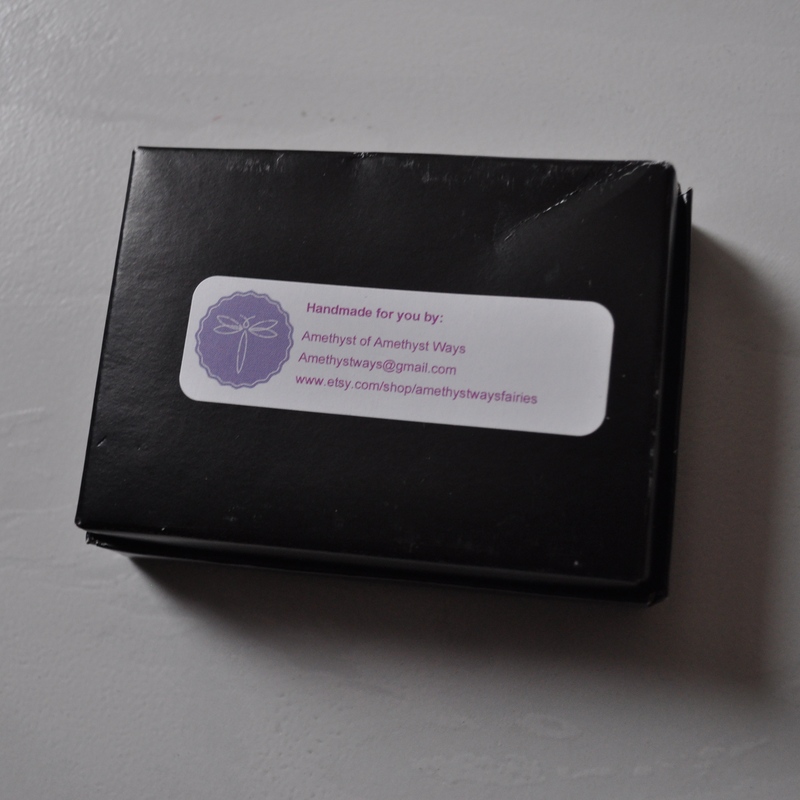 All my items are handmade with the utmost care, positive energy, and love. I give my all to every piece I make. All jewelry has FREE shipping! I’m a third generation witch, Witchcraft is a very sacred art to me. I see the Divine Spark in all things. I’m a Child Of Hecate, the Greek Goddess of Justice and Protection. I’m also a Intuitive Empath, and Master Reiki Teacher and light worker. I help where and when I can. Through Etsy I hope to share my positive energy with you through my uniquely handmade items. All my items are Blessed and Consecrated under a Full Moon. The Divine Mother is in all my work. My Soul Sister known as Queen Bee is my assistant, together we are known as the Amethyst Sisters. 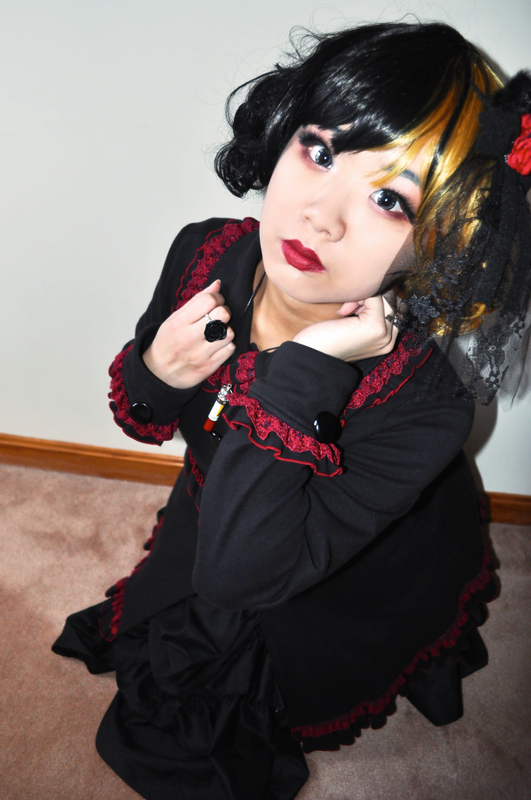 She is also a Child Of Hecate, helping me to bless all of the items we make. Each item is unique and different. I make items for everybody in all walks of life, various cultures and beliefs. I custom make items. It would be my honor to make a custom piece for you. You do not have to be a Pagan or a Witch for me to make you an item, I can customize to fit your needs and style. I think it’s great that all jewelry items have free shipping! Free shipping makes me so happy. Shipping fees can make something way more expensive… So with free shipping, you know exactly what you’ll pay! Feel free to contact Amethyst Ways Fairies to commission a custom piece. Amethyst is a very sweet lady, and she’ll be open to hearing your ideas and making your vision come to life. Remember that you can use the coupon code “20Off” for 20% off an order of $5 or more at Amethyst Ways Fairies! 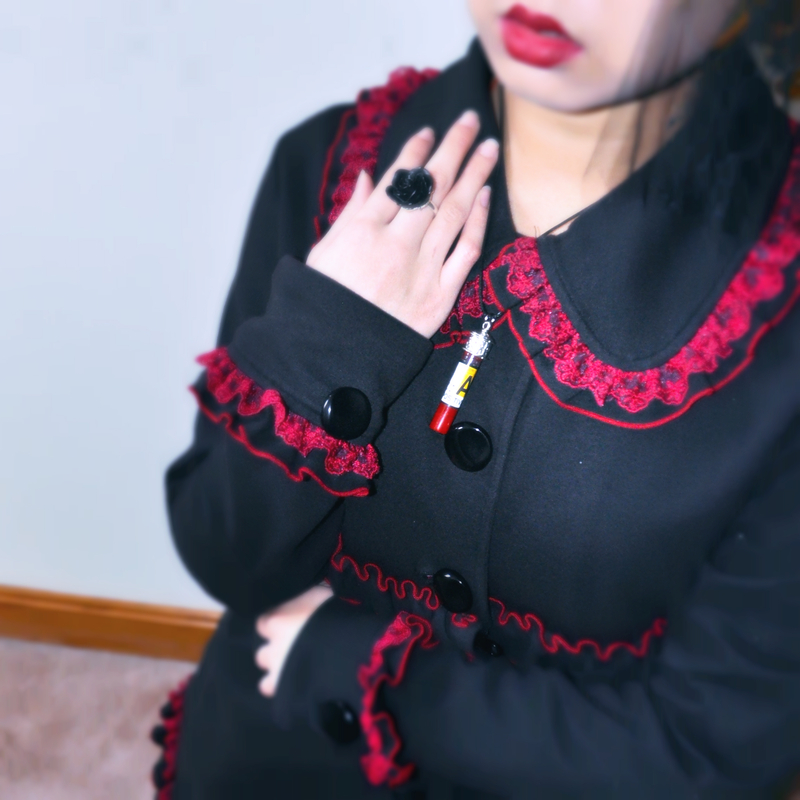 Check out my Facebook album featuring this vampire blood necklace too. I hope you enjoyed this review! Feel free to comment or ask me any questions.